Translated from Atomnaya Énergiya, Vol. 125, No. 6, pp. 359–361, December, 2018. 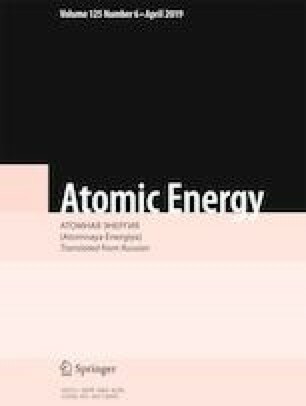 Safety of Nuclear Power Plants with VVER, RBMK, EGP, and BN Reactors (2003), http://atomas.ru/rosatom/Safety_rad.html.